By now you should be well aware of the size and scope of Tour des Canadiens, the downtown Montreal development that will reshape the city’s skyline. Yes, at 50 storeys, it will be Montreal’s tallest residential tower and yes, residents will gain unprecedented access to the Montreal Canadiens and events at their home base, the Bell Centre. All these amazing attributes have garnered plenty of attention, but Tour des Canadiens has so much more to offer beyond what’s typically mentioned in the press. The project’s roster of amenities, for instance, is unlike any other in the city. 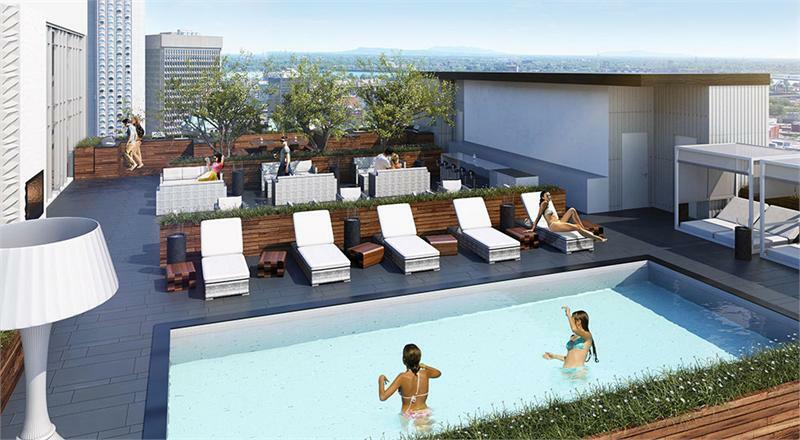 First off, Tour des Canadiens‘ 10th floor rooftop terrace will be a destination for all residents seeking to use the barbecues, sun deck, pool and Miami-inspired cabanas. 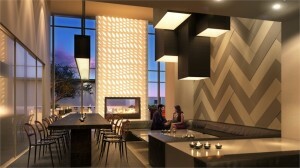 The unique DJ booth feature will allow terrace-users to spin the perfect soundtrack for the night. 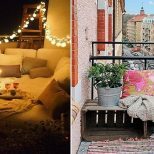 So, whether you’re looking to soak up some sun in the day or watch a movie at night, the rooftop terrace will be a go-to for all residents around the clock. Tour des Canadiens will also feature Montreal’s first rain spa, the perfect destination for residents who need to unwind after a stressful day. With plush padded floors and marble walls, the rain spa will succeed in relaxing even the most tightly wound among us. The proposed sports bar and restaurant at the Bell Centre will be a big draw for condo-seeking Habs fans. Hockey hungry residents will only need to take a few short steps to reach the bar, where they’ll be front and centre for all the Habs action, even though they’re not at the game. 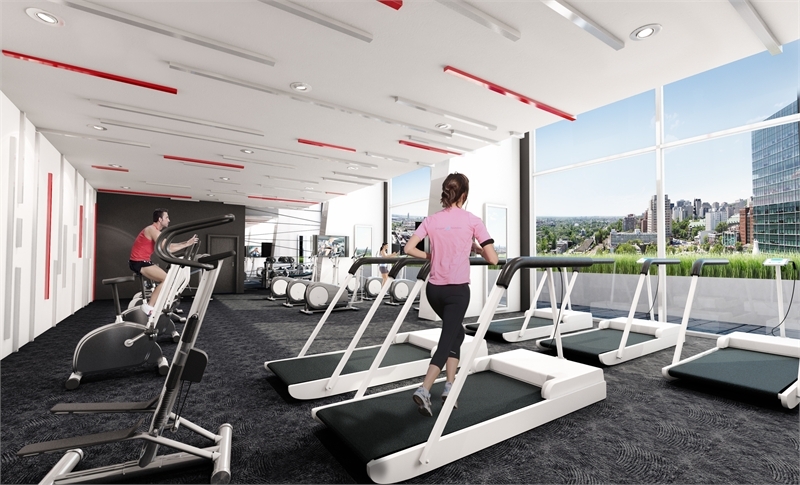 The fitness centre will boast state-of-the-art fitness equipment and incredible city views that will do more to motivate gym-goers than any workout playlist ever could. And finally, the sophisticated and versatile party room will an ideal place for activities of all kinds — from game-watching to gala dinner hosting.